What do you look for primarily in a compact binocular? Portability? Well, this offering from Canon takes it a step further, making a binocular that weighs less than 2.35 pounds! More, it is one of the most compact binoculars you will see, and can easily fit into the palms of your hands. The Canon 10×30 IS Ultra-Compact Binoculars are just what you need if you are looking for a built-in stabilizer in your binoculars with Canon being a pioneer in this technology. Here is a look at some of the features of Canon 10×30 IS Ultra-Compact Binoculars. Do not mistake its small size for a compromise on its grip. This Canon offering comes with a solid grip, and you can use to hold it with both hands quickly. The binoculars come with an excellent grip due to the rubber coating on it, and it is never difficult to get a good hold over this product. Moreover, the rubber coating also serves another purpose of protecting all the important parts of the object from dirt, water, and other outside elements. No more straining your eyes when looking through this binocular. With an eye relief of 14mm, one needn’t take off his glasses to use them, and the focus is at the center which can be adjusted quickly. As far as the field of view is concerned, this model can reach 315 feet at a thousand yards and has a minimum focus distance of 13.8 feet. 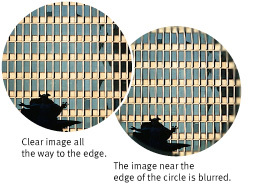 A binocular will have a better shelf life if its lens is coated properly. The flattener in this model helps make the image free from any distortion. The multi-coating lenses offer a superior contrast to the user. You will also find two lithium batteries in the pack which must be used during cold weather and help you enjoy all the features that this model has to offer. You will find the stabilizer controls in the middle of the binoculars allowing the user to adjust it quickly and without hassles. Other distinctive features include super spectra multi-coating, Canon 3 years warranty, image stabilizer, rubber armor and a doublet field flattener. Though this model is a little bigger than the other Canon product, it offers a distinct ergonomics. Well, pretty good actually considering that you’re paying for one of the most compact binoculars you will ever see. 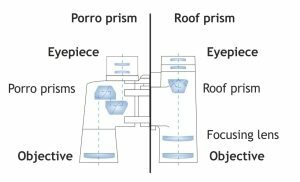 The Porro prism has in this model offers excellent clarity while the 10x magnification ensures that items are very clear when seen even if they are quite far away in reality. The objective lens has a diameter of 30mm ensuring that you never miss out on any object in the field of view. 10x magnification to zoom in and focus on objects far away. Q: How does the stabilizer button work? A: You need to continue holding down the stabilizer button to use the feature. Q: Are both the lenses stabilized? A: Yes, both the lenses are supported. You can view the field from either lens alone, and it will look stabilized. I am very happy with this product and have recommended it to 2 of my friends as well. I have absolutely no complaints from it. This Canon offering is for you only if you are bent on a compact binocular without wanting to compromise on the image quality. Remember, that the binocular does not have a lifetime warranty unlike many others and also is non-waterproof. It’s only an excellent choice if you’re looking for something really compact and can be quite expensive. But on the plus side, it can easily go into your bag, and maybe even your pockets! If you are ready to invest a good amount of money in binoculars and engage in outdoor activities which require a binocular, then Canon 10×30 IS Ultra-Compact Binoculars is just the model you need to lay your hands on.